This challenge is about tradition. In this photo taken in San Juan, Puerto Rico near El Morrow, I believe that it shows one of the most sacred & personal aspects of tradition. For most religions, and especially families, burial is very important and can hold many norms that are believed to ensure the soul’s restfulness, happiness, and respect. Additionally, this magnificent setting inspires awe to me – such beauty! 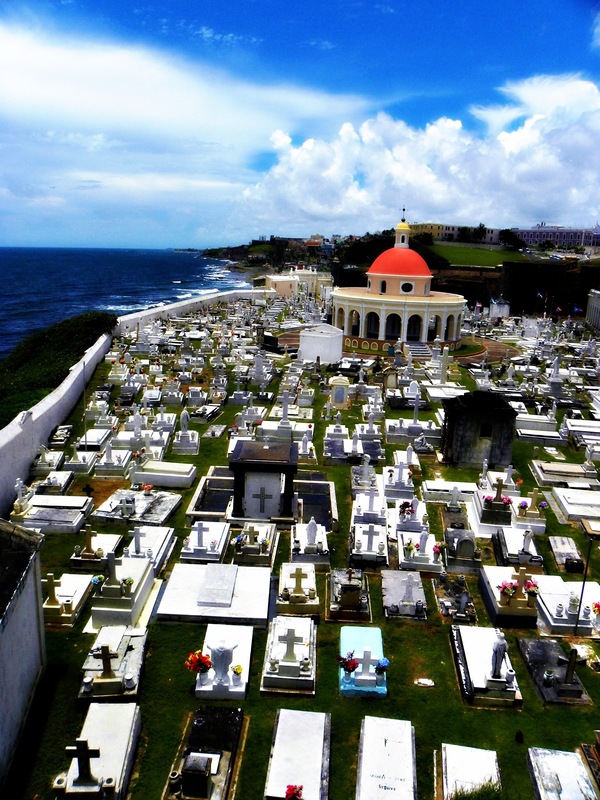 This entry was posted in Challenges, Where's My Backpack Challenge and tagged cemetary, photography, San Juan Puerto Rico, tisha clinkenbeard photography, Tradition, travel theme challenge, Where's My Backpack Challenge. Bookmark the permalink.